Charles Schwab complaints number & email. Get verified information about Charles Schwab complaints email & Phone number. If you wish to make a complaint to Charles Schwab, the company has various methods to choose from including a complaints line on 800-435-4000 / 866-855-9102, email, post and live web chat on their website. There are a range of help facilities to help resolve any problems with the service. Charles Schwab provide very comprehensive help, support and complaints handling through the ‘help and Support’section of their website including a complaints number on 800-435-4000 / 866-855-9102. The Charles Schwab Corporation is a bank and brokerage firm. The company provides services for individuals and institutions that are investing online. It was founded in 1971 by Charles R. Schwab and is one of the largest banks in the United States as well as one of the largest brokerage firms in the United States. Hopefully, We helped you to get some genuine records for Charles Schwab Complaint information. 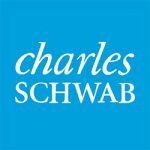 Use below complaint form to discuss problems you have had with Charles Schwab, or how they have handled your complaints. Initial complaints should be directed to Charles Schwab directly. You can find complaint contact details for Charles Schwab above.